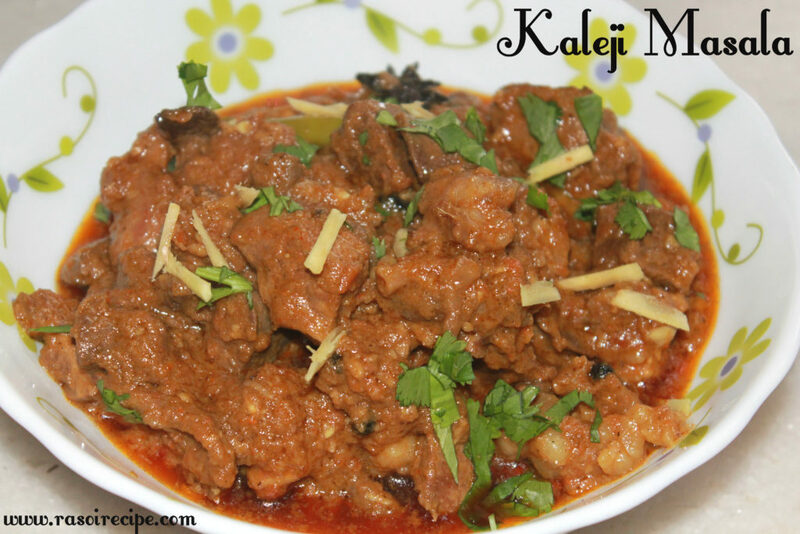 Today’s recipe is ‘Kaleji Masala’. 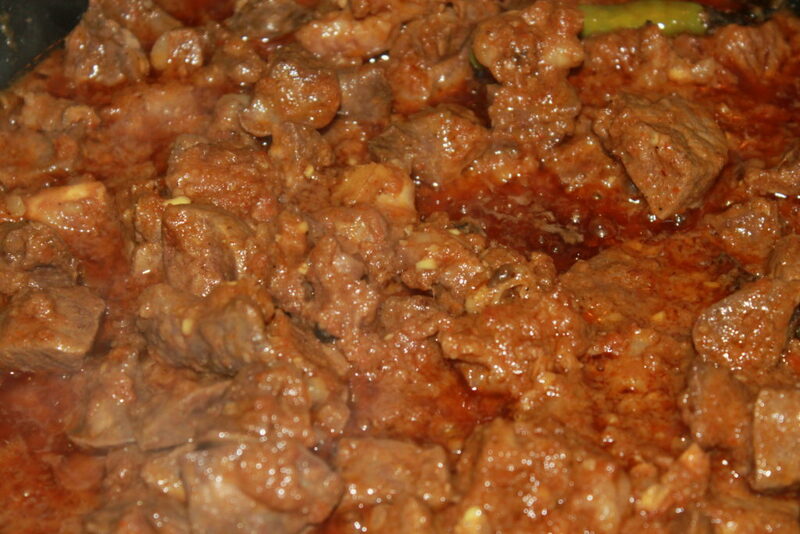 It is a spicy mutton liver dish. 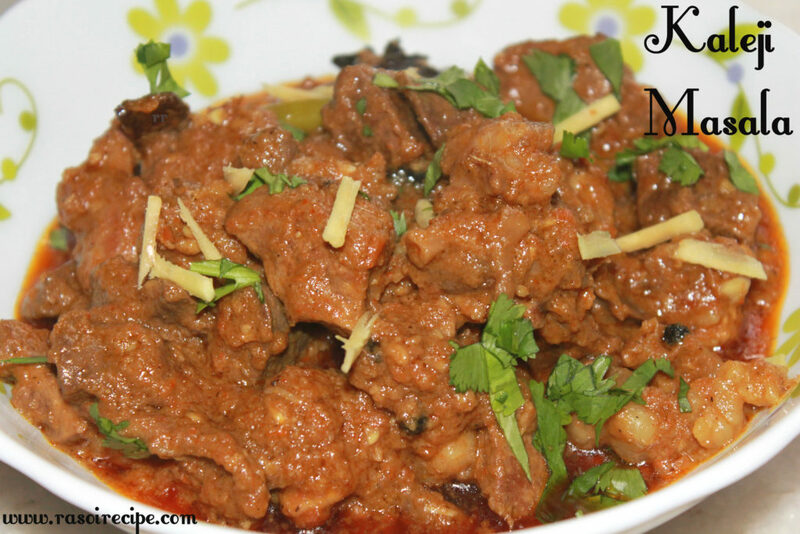 It is a semi-dry dish mutton preparation which is very common in an Indian household. During Eid festival, every Muslim family prepare it as one of the main course. Try this delicious authentic recipe at home. 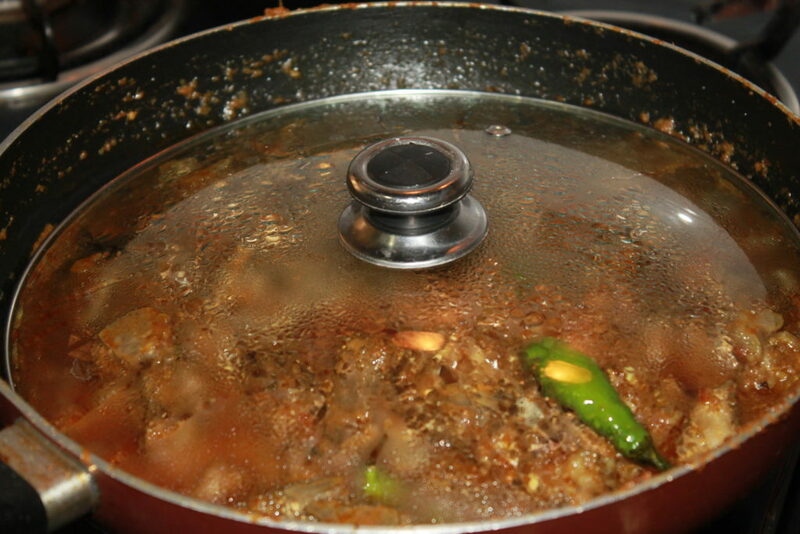 While preparing kaleji masala, keep in mind few tips – 1) Soak liver pieces in vinegar for 30 mins. 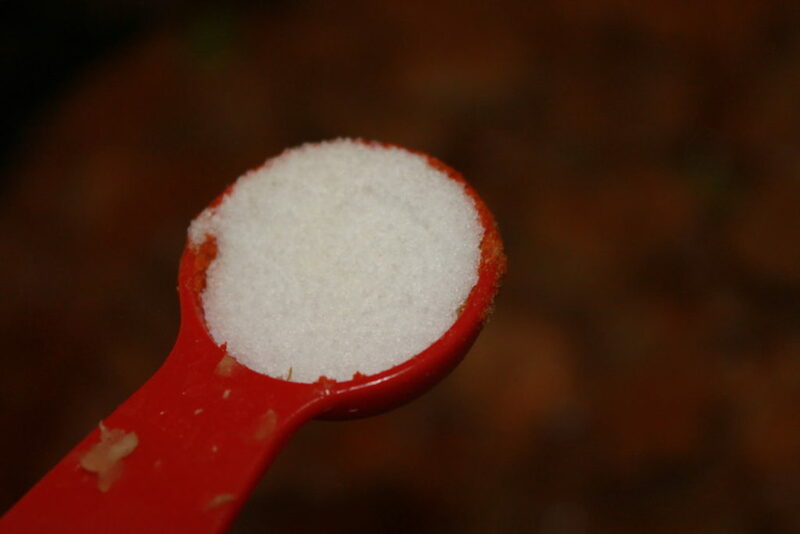 2) Always add salt in the end. 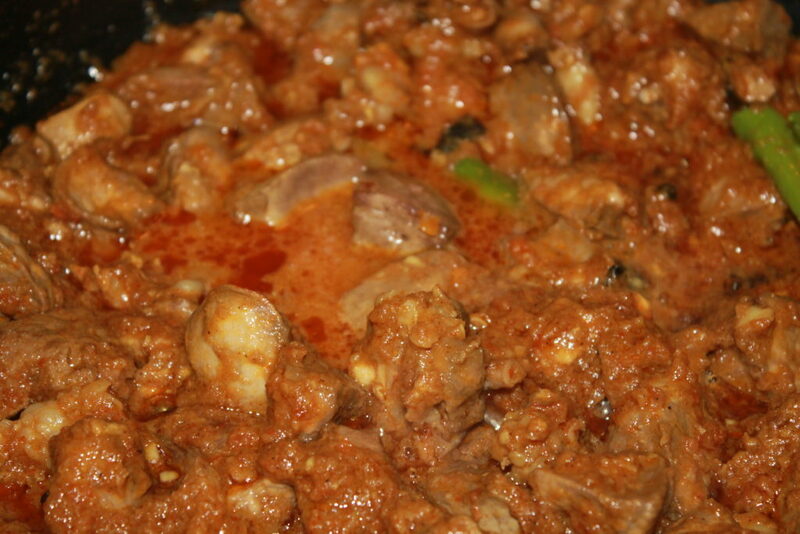 3) Kaleji takes less time to cook as compared to other mutton dishes. 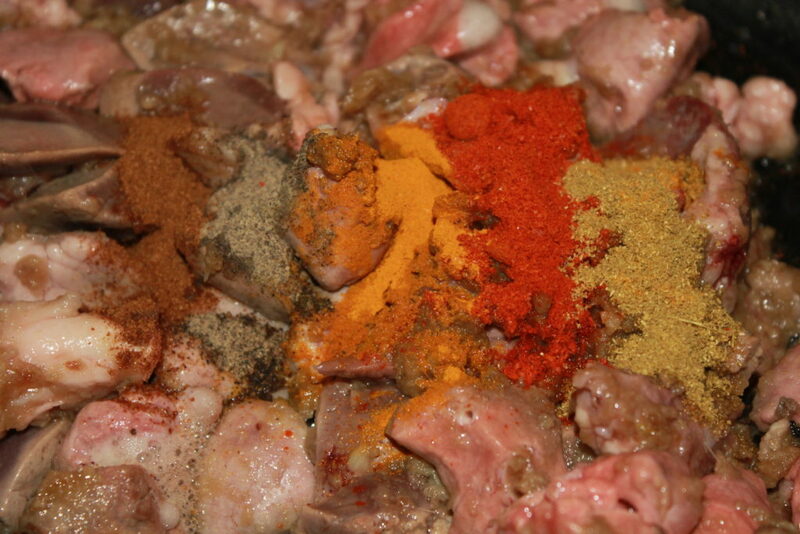 4) To avoid liver pieces from turning dark in colour, do not cover it while frying. 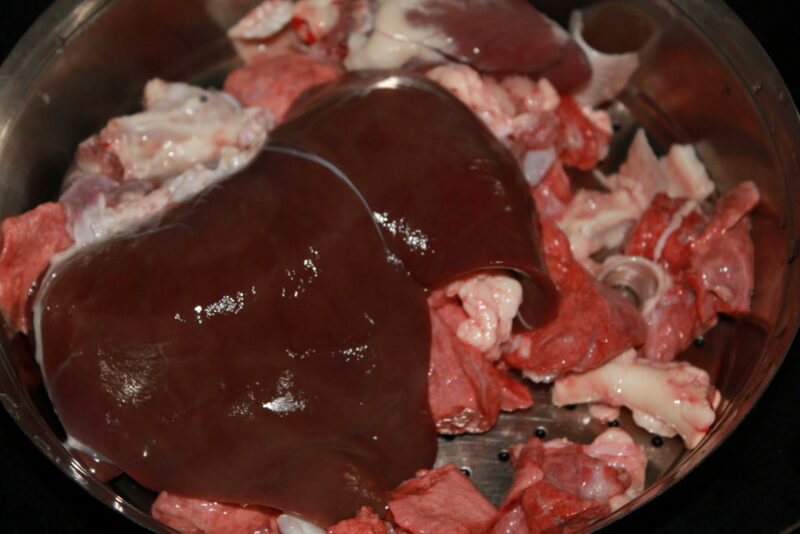 Wash and soak liver and lungs pieces in 1 tbsp of vinegar for 30 mins. 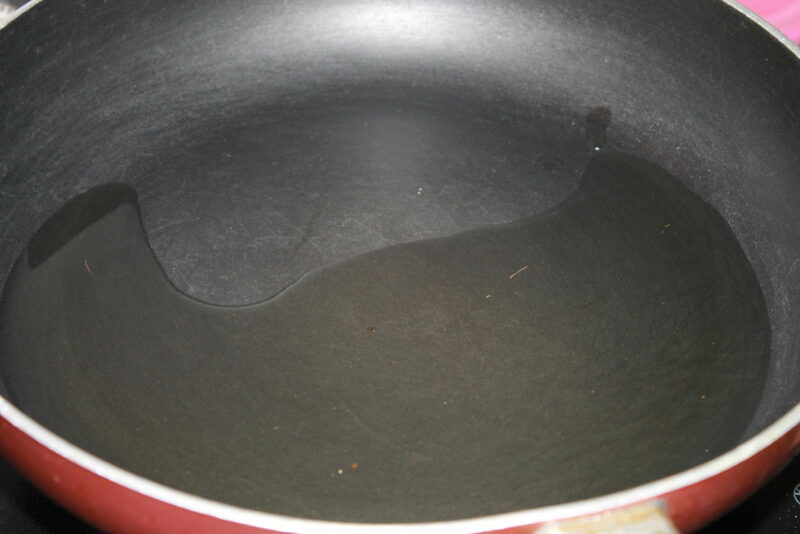 In a pan, heat oil. 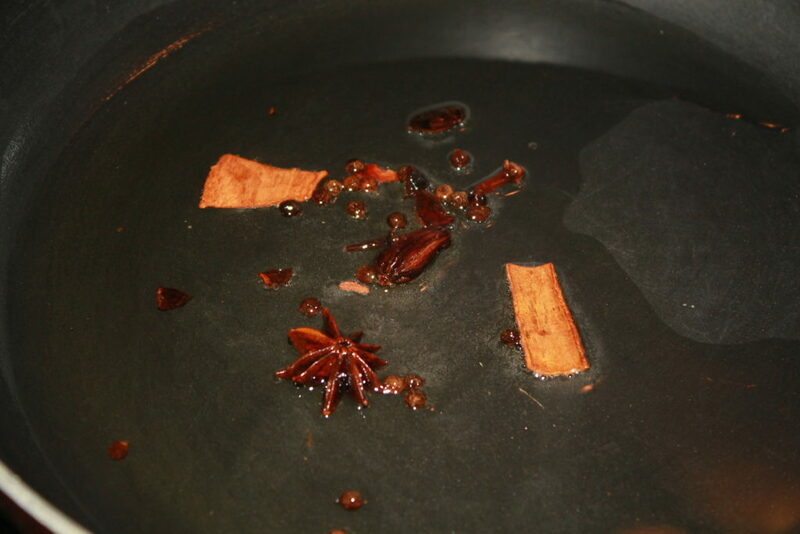 Add cinnamon stick, cloves, black peppercorn and black cardamom. Fry for a min. 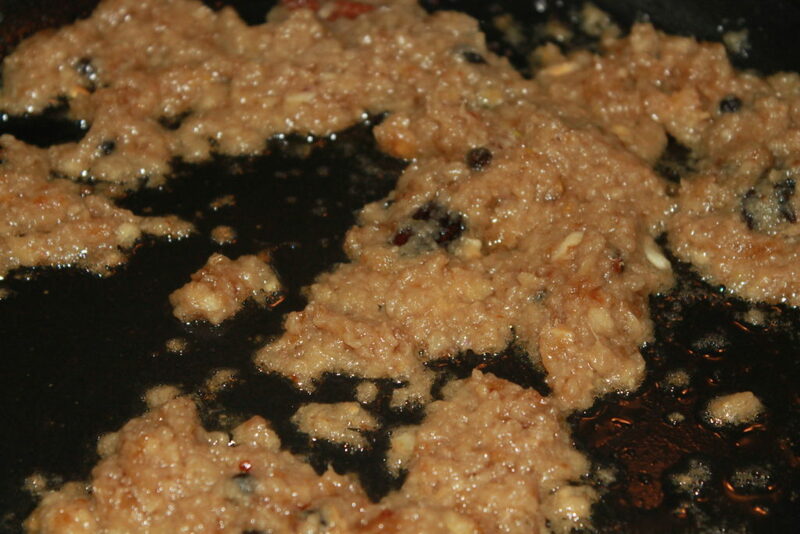 Add onion paste, ginger and garlic paste to the pan. 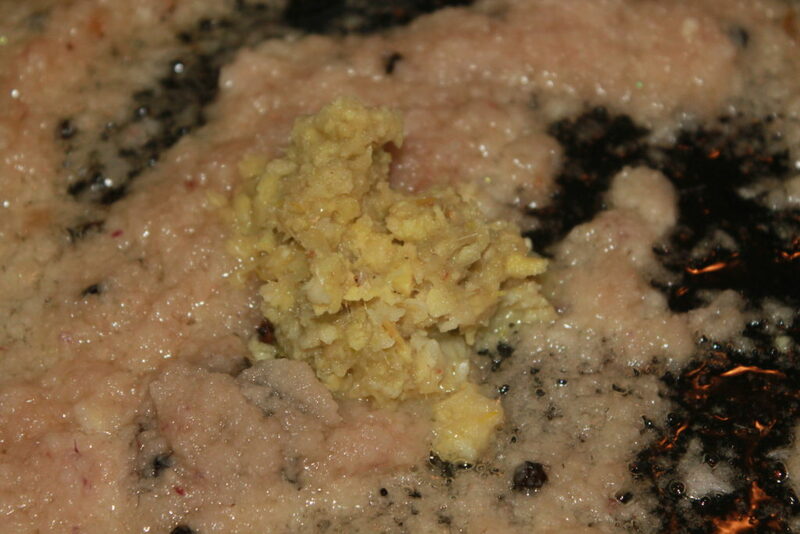 Cook till raw smell vanishes and pastes turn golden brown in colour. 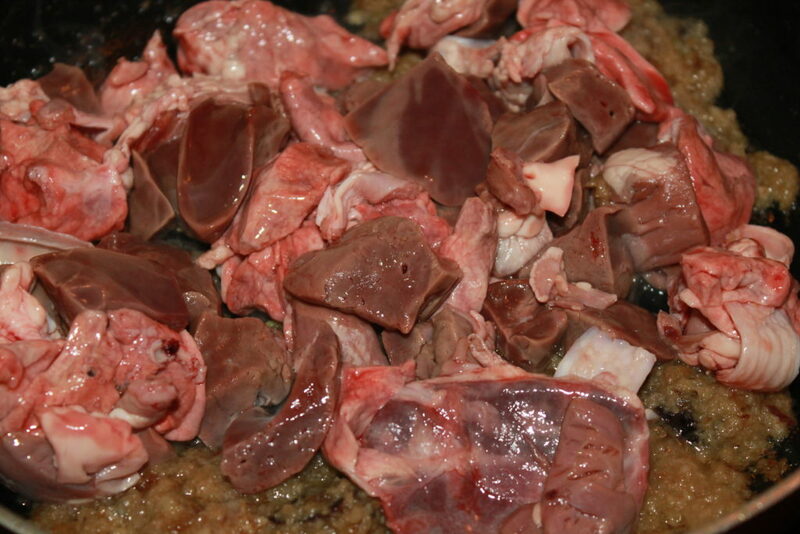 Now, add liver and lung pieces to the pan. Mix well. Add red chilli powder, turmeric powder, coriander powder, garam masala and dry roasted cumin powder to the pan. 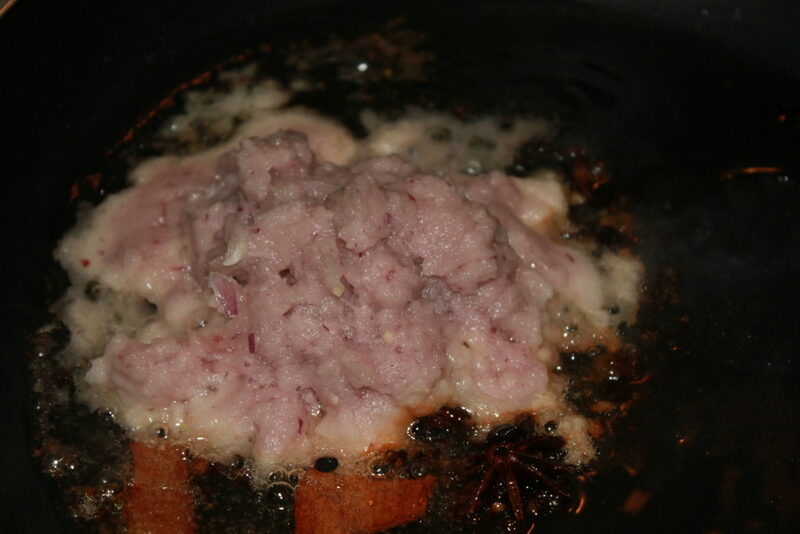 Mix well and cook until masalas are cooked. 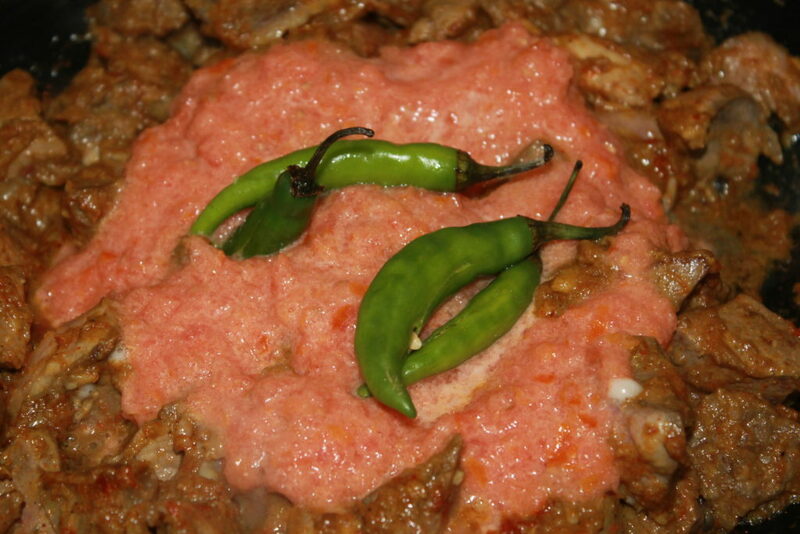 When the dry masalas are cooked, add tomato paste and green chillies. Mix well and cook until juice of tomato dries. When the juice dries, add 4 tbsp of yoghurt in the pan. 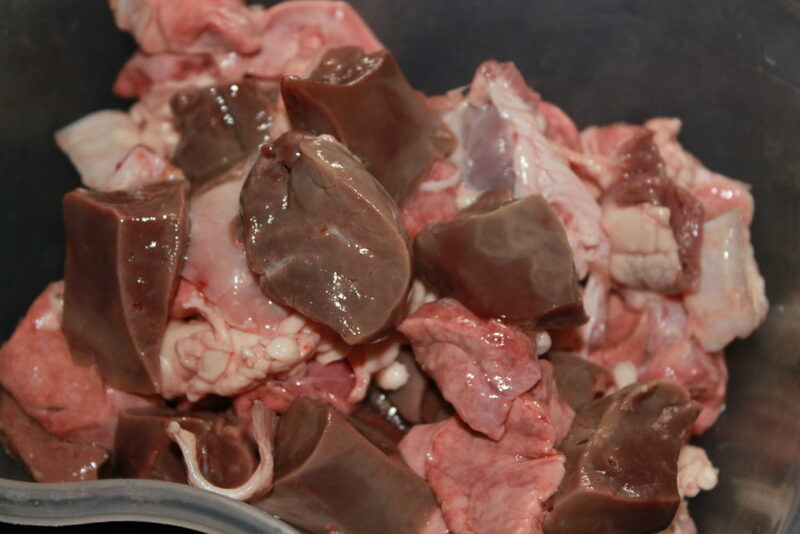 Cook until liver pieces are completely cooked. If required, add water and cook by covering. Lastly, add salt, mix well cook for two-three mins more. Garnish kaleji masala with chopped coriander leaves and ginger juliennes. 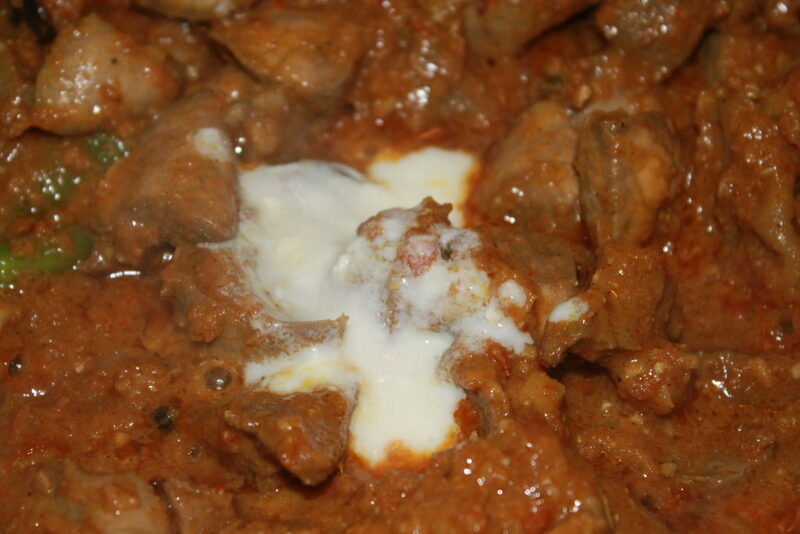 This dish just reminded me of Bakra Eid. So spicy and delectable!